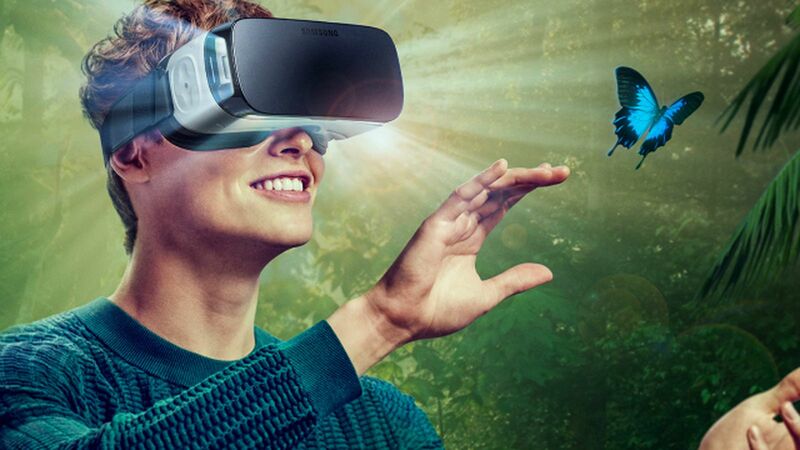 2016 was dubbed as the year of “VR goes from virtual to reality” by BBC. The momentum gained by Virtual Reality technology is tremendous as can be seen from factors like long preorders being made on the most well-known devices and Samsung shipping VR headsets with the newest additions to the lineup of their Galaxy smartphones. Apart from virtual reality headsets shipped by Samsung, their latest range of smartphones, the S7 and S7 Edge can now be used with a 360-degree camera add on. LG is also doing the same with its latest LG G5 smart phone. As might be asked, what industries will the impact be felt first? Readers might be surprised by a few. In a video, Motley Fool analysts, Rex Moore and Eric Bleeker took a look through their recent travels to the technology event South by Southwest in an attempt to dig up the new happenings in virtual reality. Virtual reality is having a large impact in its first market which is the video game industry as expected. Worldwide video game market is projected at $99.6 billion in 2016 by a team of researchers called New Zoo. At the moment, video game publishers like Take-Two Interactive (NASDAQ:TTWO) and Activision-Blizzard (NASDAQ:ATVI) have taken a “wait and see” approach as the market builds up. With initial hype around video games centered around costly high-end PCs and some more lightweight mobile headsets (like the Samsung’s Gear VR), it’s not surprising to see that video game publishers would delay major investments. But all these might change in 2016 thanks to Sony introducing the new PlayStation VR. Video game publisher Electronic Arts (NASDAQ:EA) has started taking steps in the Virtual Reality direction by creating a special edition of its Star Wars Battlefront game for the new PlayStation virtual reality made by Sony. Another major publisher Ubisoft has also announced their first VR game Eagle Flight which would be released on the PlayStation VR. Games of different genres are now being released on virtual reality such as the highly successful indie video game Minecraft, Euro Truck Simulator 2, racing game Assetto Corsa and even the free running mobile game Temple Run 2 can now be enjoyed on virtual reality. A distinct example is the Surgeon Simulator video game which can now be enjoyed on virtual reality. Surgeon Simulator on VR is an insane experience as described by many and is now being touted as one of the best cases of video games serving as an educational medium. Virtual reality growth could be an appetizing investing opportunity for these video game companies in upcoming years. Goldman Sachs “base case” assumption is that virtual reality video games will be a $6.9 billion market by the year 2020. Looking beyond video games, virtual reality is also being endorsed in theme parks for entertainment. After the process of installing virtual reality into one of its older roller coasters, a theme park operator Six Flags (NYSE:SIX) got an analyst upgrade and saw its stock prices rise up the very next day. The big outlook is that virtual reality could be used to revive (at cheap cost) older rides that have seen their popularity reduced. Virtual reality could also produce a new persuasive experience for the park. To see Rex Moore and Eric Bleeker’s full opinion on the many different markets that virtual reality is influencing, you can simply watch the video below.